Welcome to a website about the botany and natural history of the Bodie Hills and vicinity. Where are the Bodie Hills? In northern Mono County, California and western Mineral County, Nevada. North of Mono Lake and east of Bridgeport Valley, where the Great Basin meets the Sierra Nevada. 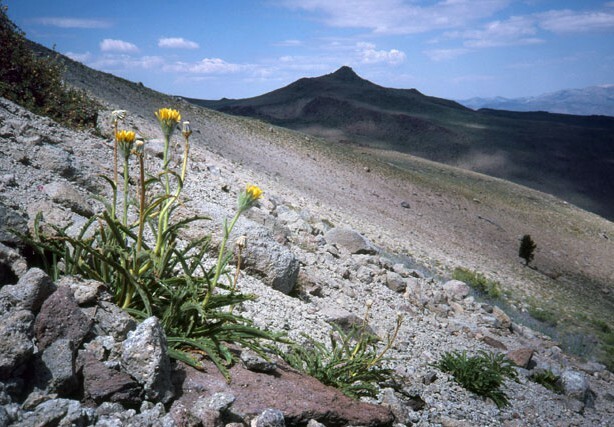 Hulsea algida on the north side of Bodie Mountain. Potato Peak in the distance. My intent with this blog is to post material related to my preparation of an e-book listing plants that occur in the Bodie Hills. This is an update of the MA thesis I prepared as a botany graduate student at Humboldt State University a few decades ago. That thesis was completed in 1982, but never became a publication. Now that the world is all digital and I happen to use graphic design and publishing software in my work, it’s relatively easy to package and deliver content in a variety of self-published electronic and printed formats. But first, the botanical information needs to be updated. A lot of plant names have changed in the last 33 years and a bunch of plant genera have been reorganized and placed into different families. Also, some additional plant collecting has been done in the Bodie Hills, resulting in species being recorded that I did not find there during my three summers of collecting years ago. Currently (2014-2015), I’m updating and formatting the content, preparing a map or two, and visiting the Bodie Hills for some new photographs and a bit of plant hunting. 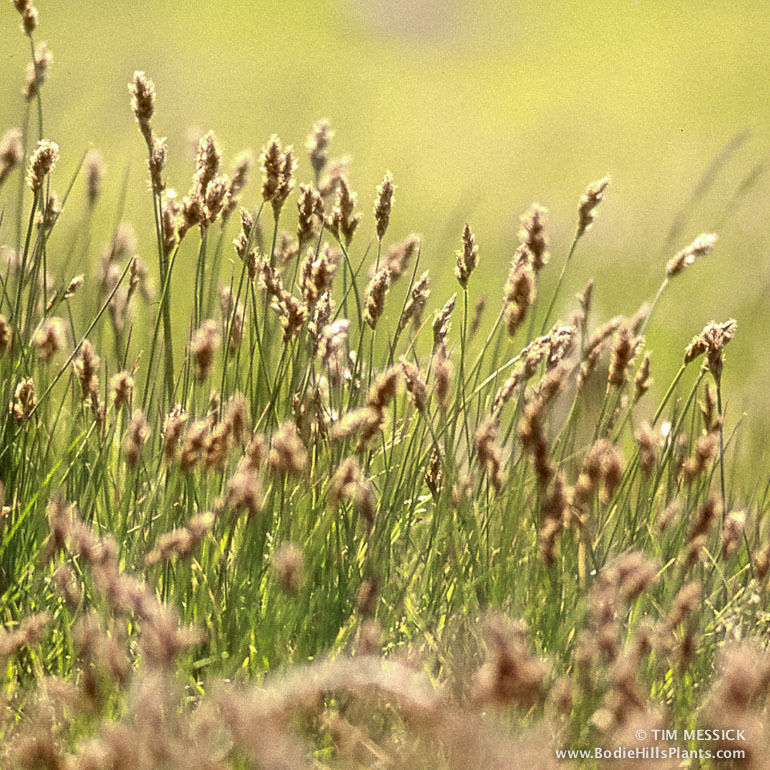 There will be blog posts on plants, sites of botanical interest, plant identification, and more. Along the way, I’m running into some other interesting information about the history and geography of the region that I would like to share—forgotten place names, shards of history and geography, places worth visiting, and other happenings in and around the Bodie Hills. I’ll blog about those as well. Have you found an unfamiliar plant or a curious bit of habitat or geology in or near the Bodie Hills? I’d love to hear about it. Leave a comment on any post or go to my Contact page. Thanks for visiting!